Love is in the air! This February, we spotlight on the power of partner workouts. Celebrate Valentine's weekend with us at Upside with two special partner classes: Date At The Barre | Xtend Barre and Strong Together | Strength & Partner Aerial. Book your slots now! 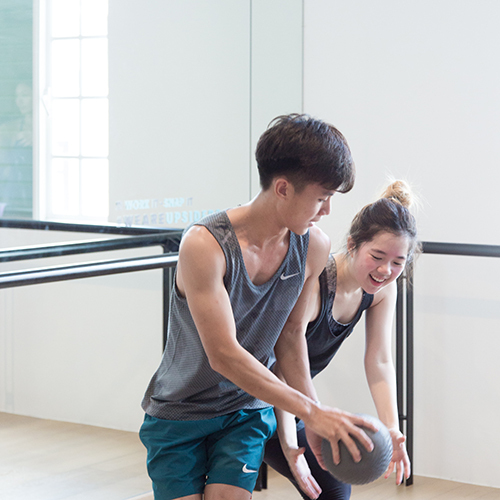 Synchronise your heart & body with your date and let Jabi Li kindle your 55-minute Xtend Barre journey "Date At The Barre" with bumpin' beats & positive vibes. Singles will get paired up so don't fret & be ready to mingle! Suspend your disbelief with Strength & Partner Aerial! Grab a partner and come prepared to work! Stretch each other out, and try your hand at some amazing partner poses. Defy gravity & define that core as we work on flips, holding ethereal poses going above and beyond our power stretch classes. Prerequisites include a minimum of six Power Stretch classes, being comfortable with hands-on partner adjustments and stretching, being in back belt line and holding in a tuck for at least 5 seconds.